Ohrid is a city in South-Western corner of Macedonia, situated at 695 meters (2.280ft) above sea-level, nestled beside the Galichica (Guh-lee-chee-tsa) Mountain and National Park, and the pristine Ohrid Lake. The city and lake are globally recognized as very valuable cultural and natural centers of heritage, and are duly protected by the Macedonian government in cooperation with the United Nations. 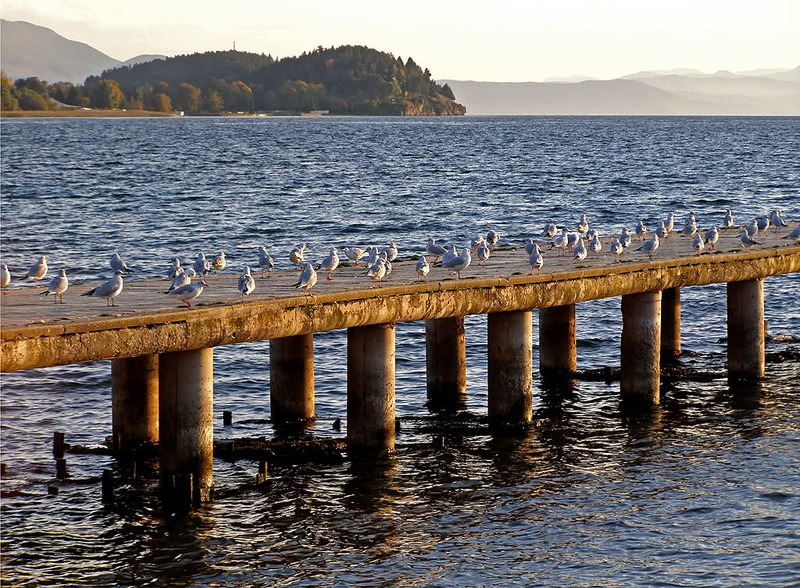 The Ohrid Lake and the City are both UNESCO World Heritage sites, which means they are deemed important to the world as designated by the United Nations branch - UNESCO. 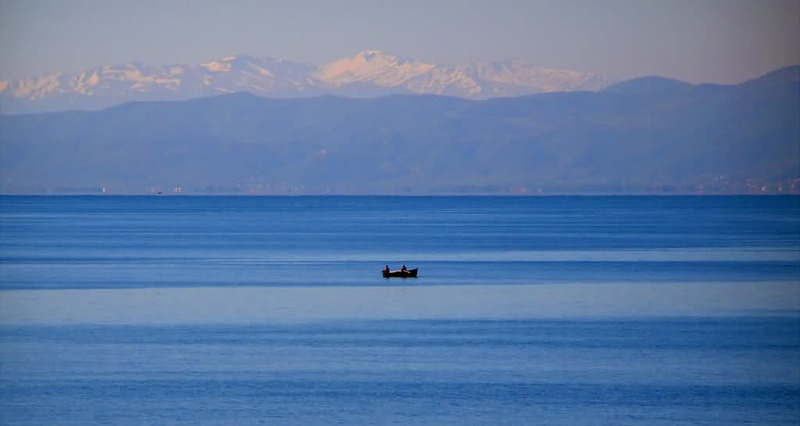 The Ohrid Region is important to world both culturally and ecologically. The Lake itself is a tectonic lake - which means it was formed as the result of the earth's crust moving apart, causing large basins to be formed, and eventually filling themselves with water from underground, and from rainfall. The Ohrid Lake is roughly 10 million years old, and is believed to be the oldest lake in Europe, and one of the deepest, at 288 meters. The lake is unique in that it is home to over 200 endemic species, which means that they can't be found anywhere else on the planet. 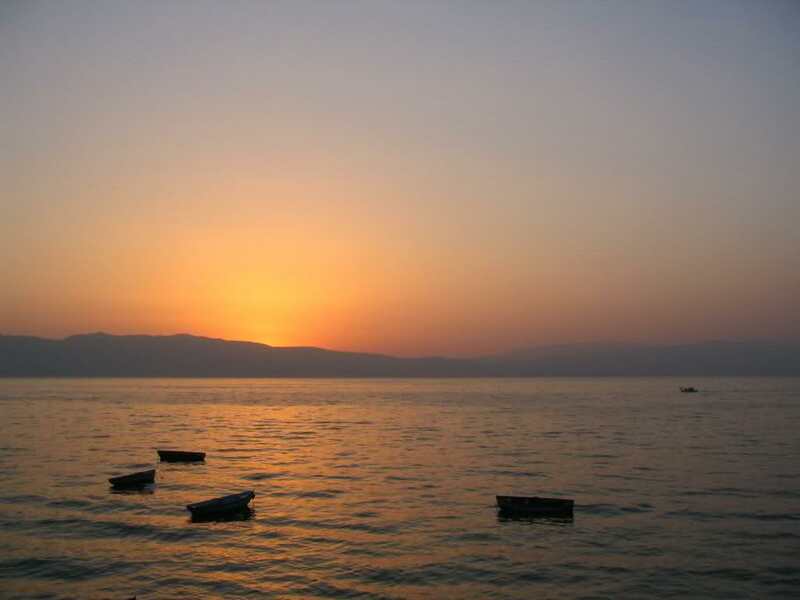 Unlike other old lakes which have dried up since their creation, the Ohrid Lake has remained filled with water, largely due to the way it is fed. Most lakes are fed by rivers and streams, and eventually fill with sediment and become dried up. The Ohrid Lake is filled by underground springs, which are naturally filtered by the sand and soil, and therefore only pure, crystal-clear and sediment-free water is fed to the lake. The water in the lake is so clean that many people fill water bottles from the deeper parts and drink it directly. The water that is fed from the underground springs is the purest water possible, and at some parts, you can even see the sand at the lake bed bubbling where the fresh water is entering the lake. The City of Ohrid today has a population of roughly 42,000 people, and spans 383 square kilometers, making it a city of moderate size. The area has been constantly settled for thousands of years. Travelers to Ohrid can see recent excavations have shown that in some parts of the city, old cities have been built on top of each other, layer over layer. 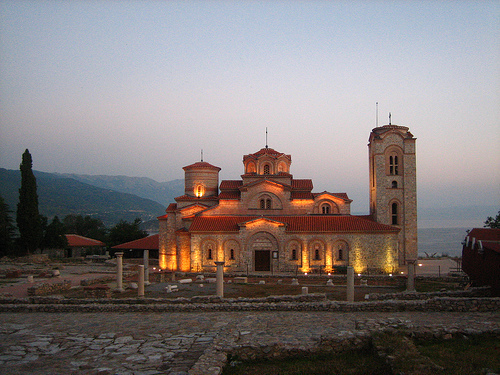 Ohrid is nicknamed the "Jerusalem of Europe" because of it's large number of churches. In the Macedonian Orthodox Faith, building churches is seen as a way to beckon Angels and God to a place. Because of the strong faith, it is believed the area will be protected of evil spirits and will be more holy and pure. At one point, in the region of Ohrid there were over 360 churches and monasteries. Many of those still stand to this day, making Ohrid quite a destination for a spiritual getaway when traveling to Macedonia.